This Chihuahua nicknamed Carmelo sold and went to a new family. Please Read the Entire ad to avoid any misunderstanding or repeating.. Proud parents of 2 Males Looking for You to Take Home. 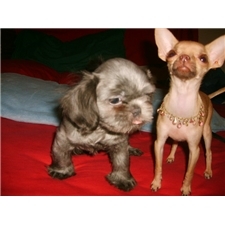 If you decide to take Both Puppies you will get a $500.00 Discount.